We’re just a couple of weeks away from the opening of this year’s Star Wars Celebration, which fans had long hoped would finally put an end to the recent dry spell for Star Wars: Episode IX news and material. But if you need something to fill the wait before Lucasfilm brings us the first teaser and the official title, this recently leaked promo poster might do the trick. Like most Star Wars posters, this new artwork has a lot going on and gives us much to process. For one thing, you’ve got a row of those heavily rumored red Stormtroopers lining the bottom of the image. Meanwhile, just above them is the villainous Kylo Ren in his old helmet, complete with fissure lines where repairs were apparently made. 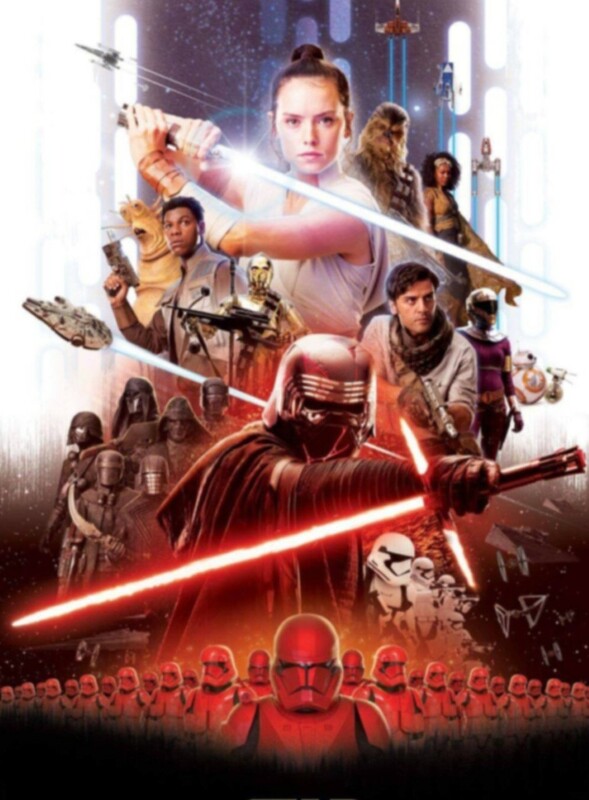 On the left, we see the Knights of Ren, who’ve been mentioned in a quite a few reports in recent months, and further up on the poster are several newcomers, some of whom have already shown up in leaked concept art. BB-8 is even pictured with his new droid sidekick, who’s rumored to go by the name of D.O. No doubt the internet will find plenty more to discuss in this artwork (Is that Keri Russell’s character in purple? Is C-3PO holding a weapon? ), but hopefully this is just the start of a very busy period for Episode IX reveals. The current consensus, for instance, is that the first footage from the movie is likely to emerge on April 12th, which falls exactly 16 days from now. But regardless of what the coming weeks bring, we’ve still got most of the year to wait before Star Wars: Episode IX hits theaters on December 20th, 2019.